"Gregory Sound Studio, New York"
In the Gregory Sound Studio, New York, ca. 1925. Technicians adjusting sound equipment. 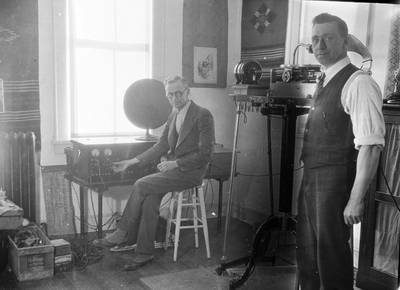 Carl Louis Gregory is seated by some of the sound equipment [glasses].